The Partnership Project makes this home your home! You choose your level of participation, knowing that everyone is welcome equally, and each donor makes a positive difference! 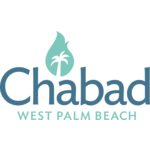 Enjoy the tokens of appreciation each level brings to your life, knowing you have helped Chabad of West Palm Beach and the entire community. Do you live outside of this area, but still want to support the amazing work of Chabad? Is becoming a partner above your budget? Please consider becoming a friend of Chabad by choosing the option below.